Only you should be editing your Windows registry, so make sure this service is disabled by clicking Start, Run, and then typing “services.msc.” Scroll down to Remote Registry and make sure the service is stopped, and then set it to either manual or disable. Protect yourself from identity theft and phishing attacks by using the the latest versions of Firefox, Internet Explorer, and Opera. These browsers include protection that double-checks URLs against a blacklist, and will notify you if you’re about to visit a known phishing site. Hackers and crackers love to take advantage of exploits found in software, which causes the developers to release a patch to plug up the holes. Therefore, it’s imperative you not only enable Windows Update but also download the latest version of any software on your system, especially your Web browser and antivirus program. Virus makers love peer-to-peer file-sharing services. They name their virus “Angelina Jolie Wallpapers” or something similar and upload it. Then millions of people download it, launch it, and wonder why their computers are infested with viruses. Download with caution, and always use antivirus software. If you need an effective, free antivirus solution, we recommend AVG Free. If you are getting rid of a hard drive and want to render all or some of its data unrecoverable, you have two options. You can download Eraser to securely wipe any file or folder, and you can use Darik’s Boot and Nuke SE (DBAN) to write over the entire drive. To use DBAN, download it and burn it as an ISO disc, then boot from it. It will provide you with instructions on the welcome screen. If you want to encrypt sensitive data, you can buy a portable USB drive with built-in encryption like the CMS ABS-Secure Encrypted Backup System, but if you just want to protect a specific folder or group of files, we recommend Truecrypt, which is free. 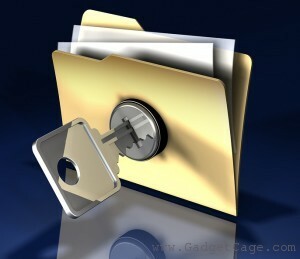 It encrypts a custom-sized volume with 256-bit AES encryption, so it’s extremely secure. Many people have a “set it and forget it” mindset when it comes to backups. Even after you establish a regimen, however, it’s critical that you check the target folders periodically to ensure the proper files are being backed up. If not, re-configure your backup routine to make sure it’s working properly. You must back up your data, period. If you have the means, we highly recommend an external USB drive like the Maxtor OneTouch 4 Plus. If you already have an extra drive in your systemâ€”but just need some good backup softwareâ€”try the free version of 2BrightSpark’s Syncback, which is sublimely easy to configure. Even surge protectors can be overwhelmed during electrical storms, and we’ve seen the results first-handâ€”fried motherboards, processors, hard drives and power supplies. If you’re experiencing a heavy-duty electrical storm, take our advice and unplug your computer from the wall socketâ€”just in case. And buy a laptop to use until the crisis passes. S.M.A.R.T (self-monitoring analysis and reporting technology) allows your drive to report whether it’s about to fail, which can give you a heads-up to replace it. All the modern hard drives have itâ€”go into your PC’s BIOS (press Del or F2/F10 during bootup) and enable it.